On Friday, the West Point High School classes of the 50s. 60s, and 70s will hold their first ever school wide reunion. It is even rumored we may have some graduates from the 40s. 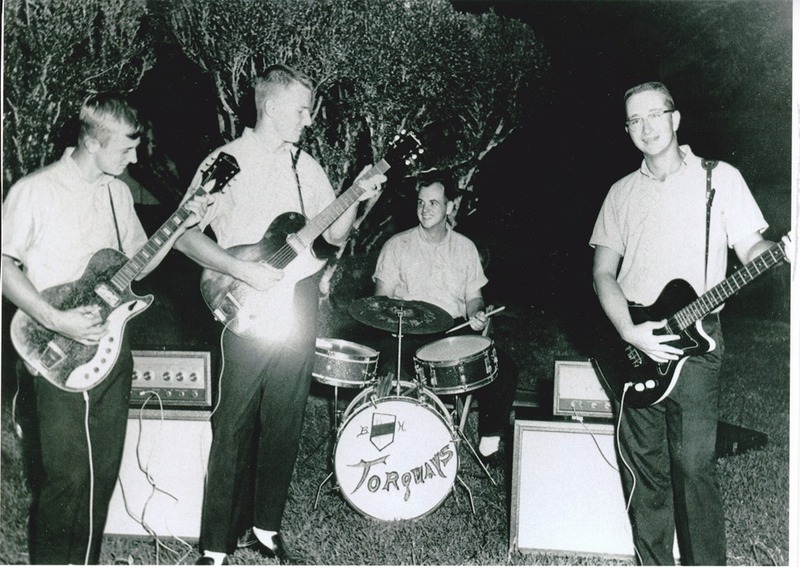 Music will be provided by The Original Torquays who performed half a century ago for our old gang which was just beginning to learn to dance and falling in love with that “detestable music” our parents called Rock & Roll. Above from left are Tinker Lautar, Scott Murrah, Bobby Harper and Eugene Bailey. 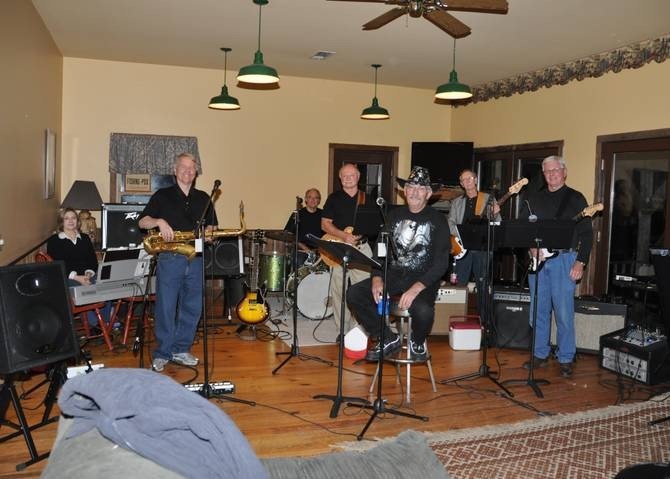 The 2012 version of The Torquays includes an expanded group including from left Susie and Bob Marshal, Tom Segrest, Tinker Lautar, Gary Florreich, Eugene Bailey and Scott Murrah. They are coming to town on Wednesday for two days of intensive rehearsals for the event we are billing as the Chili Bash/Monster Mash. Several people who didn’t graduate from The Point have asked it they can come. The answer is an enthusiastic “YES!”. Some 20 teams have entered the Chili Cook Off which begins at 5:30 at Teen Town on Westbrook Street. After judging is complete, guests will have an opportunity to sample the chili – several teams have won awards in other cooking competitions. I’m entering, but the only way I’ll have a chance is to bribe the judges. So I’m going over this afternoon to wash Robert Harrell’s car and mow his yard. One of the judges is even staying at my house for the weekend. Surely, I’ll make it to the finals no matter how bad my cooking is. If you’re looking for a great time this weekend come join us. Wear your dancing shoes! Hey don’t forget that The Pre-Dawn Five was in there right before Raven Blue and after the Torquays! I was the girl singer and Tinker Lauter was our lead guitarist. A guy named Frog that I can’t even remember his real name was our lead male singer, and Craddock Boyd was our bass player. Our drummer came from Eupora and I can’t remember his name either. Give me a break. It has been almost 50 years! We played together for about 2 years at local proms, fraternity parties, some clubs, traveled to some surrounding states. Was one of the best times of my life! We even played for orientation at MSCW to a huge crowd.